Norbert Haug didn't even try to hide the fact that Kimi would be a pleasant driver for McLaren next season. – You should also ask himself but I think that we had a fantastic relationship with Kimi, Haug assured Sunday evening before the GP. Has Räikkönen changed during these Ferrari-years? – He will always be the same Kimi to me as he was before. The press must have better information about it because the reporters have been talking to him for 2-3 years more than I have. 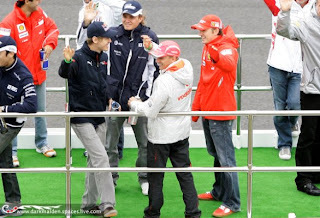 It's a fact that I still have a good relationship with Kimi - just like I have with 95 % of the other drivers also. – Without doubt Kimi is a special guy but it would be wrong if I would start to estimate if he is better or has somehow changed. If something then he at least has a different hair style. 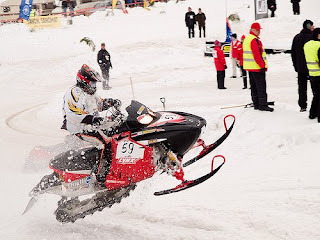 A rock'n roll -style which I like, Haug says. Does Haug want Räikkönen back to McLaren? – Hahhah... We are now in Singapore racing. Of course we have our own options for next season. – We have worked together with Kimi for 5 years and that time was absolutely positive. We should have won two WDC's. One we lost by 2 points and the reason for that was a DNF. In 2005 we would have won without a doubt if it hadn't been for our engines breaking down. – During Kimi's time we weren't as good and reliable on the engine department like we now are. Hopefully that trend maintains this season. We operate together with McLaren better than ever. 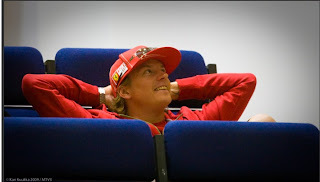 – Two championships with Kimi would have been a better and more fair result for both of us. Personally I like the chap. Time will tell what happens. Would McLaren get along if having two champions at the same time - Kimi and Lewis? – Hmm, megastars together.... We have the policy that we will do our everything to get the two best available drivers in our team. It has to be done even though it's always a question of money and ability. The drivers are defined by their ability. 2007 the sparkles flew between Hamilton and Alonso in McLaren. – But we didn't have any problems with Alonso. Maybe it looked like that from the outside but in reality everybody did their job within the team. We should have won the championship. Team orders are forbidden and what would have happened if Fernando wouldn't have blocked Hamilton in Hungary quali and dropped 5 places? Without that he would have had some points more and he would have won the championship. – Sometimes things just go that way but it's no need to say it happened because big stars were team mates. We could have won with a point but we lost with a point. Sometimes things just go like this. Who decides about McLaren's drivers? – It's not a secret that Mercedes pays half of the salaries and hence we also decide collectively about drivers. The decisions are made by me and Martin Whitmarsh. After that we talk to both our boards. There aren't that many discussions as there was during Ron's time, Haug said. Mercedes doesn't have the power to chose the drivers but Haug sas that they can give suggestions. Ferrari is expected to announce some news this week in Suzuka. It's obvious that according to the traditional scheme Ferrari will first announce that Kimi Räikkönen will leave the team and thank him for the work he has done with them for 3 years. Only after that they will confirm Fernando Alonso's switch to Ferrari with a 3-year contract, according to the rumours.